The Two Faces of January is more of an exercise in acting and performances rather than storytelling and plot. Admittedly, it doesn’t possess the best pacing, but in the end it was enjoyable enough thanks to the three leads. The story, based on the novel by “The Talented Mr. Ripley” author Patricia Highsmith and set in 1962, centers on married couple Chester MacFarland (VIGGO MORTENSEN) and Collette (KIRSTEN DUNST) on holiday touring the sights and sounds of Greece when they catch the attention of a fellow American, tour guide Rydal (OSCAR ISAAC). Rydal of course finds Collette attractive but with the passing of his father, there is something familiar with Chester as well. After the MacFarland’s take note of Rydal, they engage him for a personal tour around the streets and Rydal performs his magic garnering money out of Chester with overpriced trinkets. After a day of shopping, and later dinner with some back and forth conversation, the MacFarlands retire at their upscale hotel, when they receive a knock at the door in which a man has come to collect on some big losses MacFarland had invested stateside. In the bathroom, Chester and this man struggle, where he falls hitting his head and dies. Chester attempts to cover for his actions, taking the man back to his room where upon Rydal, coming back to return a bracelet Collette had left, and catches Chester struggling to get this man into the room. Chester quickly comes up with the excuse that this man is merely passed out but with this, trouble is on the horizon as Chester suspects there could be others waiting. With Rydel’s help, the couple makes haste out of the hotel leaving behind their passports and thus any mode to escape from the country. Being a resourceful fellow, and being attracted to Collette doesn’t hurt, Ryder gets in touch with somebody who can provide fake passports at a price which Ryder gets a nice commission out of. However, they won’t be ready for another couple of days so the MacFarlands, along with Ryder, take refuge on the island of Crete where upon we get a bit of a Trains, Planes and Automobiles motif sans the comedy, of course. It’s here things go from bad to worse as we see Chester’s darker side when he’s drunk and knowing Ryder is in it to steal his wife away from him. 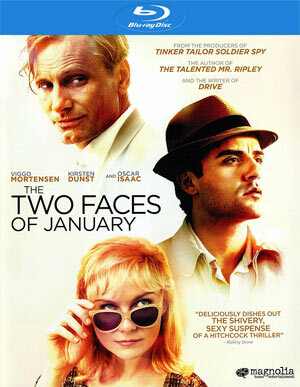 Make no mistake, The Two Faces of January doesn’t come close to the film adaptation of The Talented Mr. Ripley both in style, from director Anthony Minghella, to performances headlined by Matt Damon in a role he should have been nominated for Best Actor (Law got one for Supporting Actor). That said, and despite sluggish pacing, there are things to admire from the production design recreating a romantic 1960s Greece to a callback to the old school Hitchockian thriller with the cinematography by Marcel Zyskind (Code 46). Also, the acting isn’t bad. Viggo Mortensen plays up both his charm and dark side quite well; Kirsten Dunst is actually not half bad albeit someone like Amy Adams or Rachel McAdams might’ve been better; and especially Oscar Isaac continues his rise to fame that will certainly skyrocket between Star Wars: Episode VII and X-Men: Apocalypse. The trio together really helps mask deficiencies with the plot and pacing making this an above average slow burn suspense-thriller. 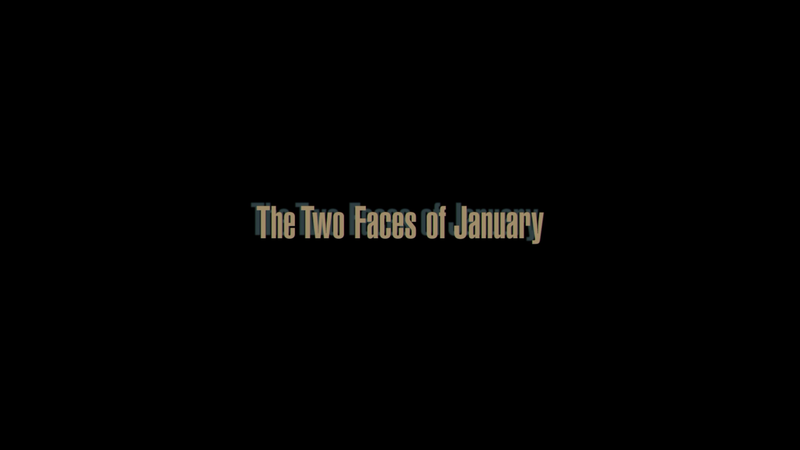 The Two Faces of January was helmed and adapted by Hossein Amini best known for his writing on Drive (and to a much lesser extent Snow White and the Huntsman, one of three writers on that train wreck). This film marks his feature debut and hopefully he gets more chances to hone his craft, though this one is hardly perfect and doesn’t quite live up to the potential given the source material. 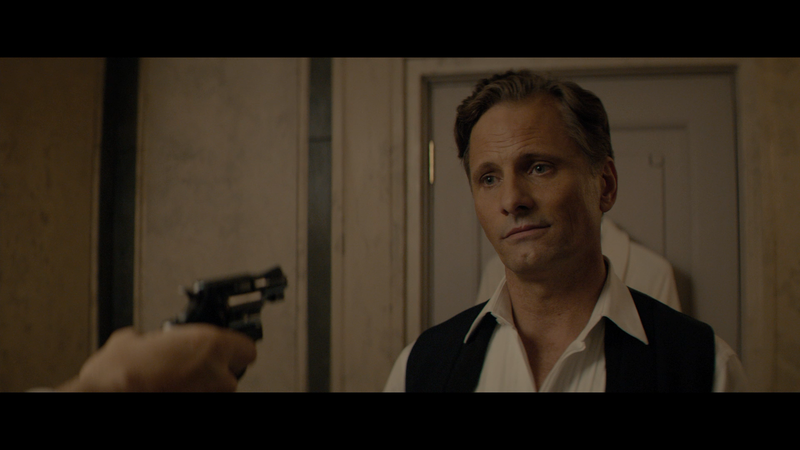 Deleted Scenes (6:03; HD) – We get a selection of scenes that for one reason or another got removed and for the most part, they are well acted but unnecessary to the overall plot. Bloopers (3:48; HD) contain some flubbed or forgotten lines. Traveling in Style (2:33; HD) is a basic promotional featurette on the 1960s style including costumes and sets. Shooting the Odyssey (2:51; HD) looks at shooting at the various locales in and around Greece. A Twist on the Classic Thriller (3:09; HD) – This promotional featurette centers on the story and characters and features interviews with the cast and crew. 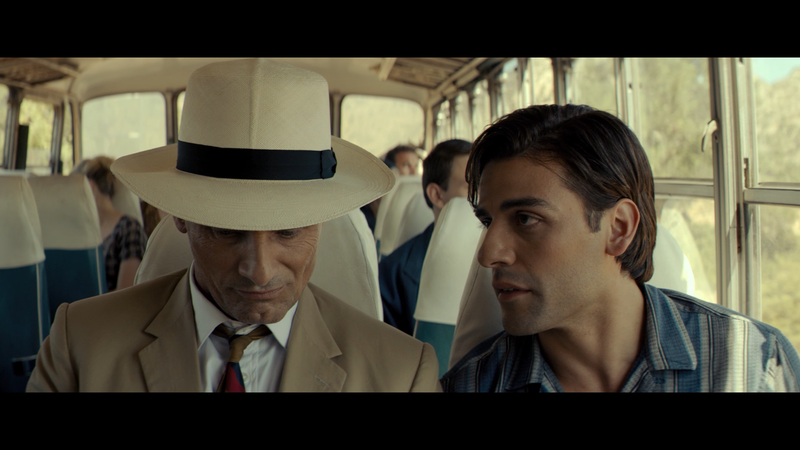 AXS TV: A Look at The Two Faces of January (2:32; HD) is more of the same is only there to promote the film where the cast chats about their characters and the story which is intertwined with footage from the film. 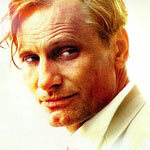 The Two Faces of January arrives on Blu-ray from Magnolia Home Entertainment. Presented with a 1080p high-definition transfer and in its original 2.39 widescreen aspect ratio, the movie for the most part looks good showcasing the Greek landscape with bright colors while detail levels tend to be fine, though not especially sharp at times though close-ups are a bit better looking. The 5.1 DTS-HD Master Audio track provided is serviceable though not entirely dynamic. The dialogue levels do come across crisp and clear while the score by Ilberto Iglesius gives the best sense of depth through the rear speakers, however mostly absent is the LFE channel which makes this a good lossless track, but not great. Overall, The Two Faces of January has its moments between the performances by its three leads (highlighted by Oscar Isaac), beautiful cinematography taking full advantage of its on-location shoot and a genuine Hitchcock-esque vibe. However, the pacing is a bit off and the story could’ve used some more work, but all in all, I found it to be an enjoyable little film worth a rental fee. The Blu-ray released by Magnolia Home Entertainment has a good video/audio transfers while the bonus material was weak.